Jakarta. The military and police will deploy 40,000 personnel to safeguard the 2018 Asian Games, set to commence in slightly more than two weeks. Around 15,000 athletes and officials from 45 countries will participate in Asia's biggest multisport event, co-hosted by Jakarta and Palembang, South Sumatra, between Aug. 18 and Sept. 2. Top concerns during the event include street crime, terrorism, traffic congestion and haze. In Jakarta, the world's 12th most congested city, police will implement an odd-even traffic system between 6 a.m. and 9 p.m. daily for the duration of the Asian Games. Around 600 closed-circuit television cameras have meanwhile been installed in Palembang, while several additional police stations will be opened in the Indonesian capital to prevent street crime. 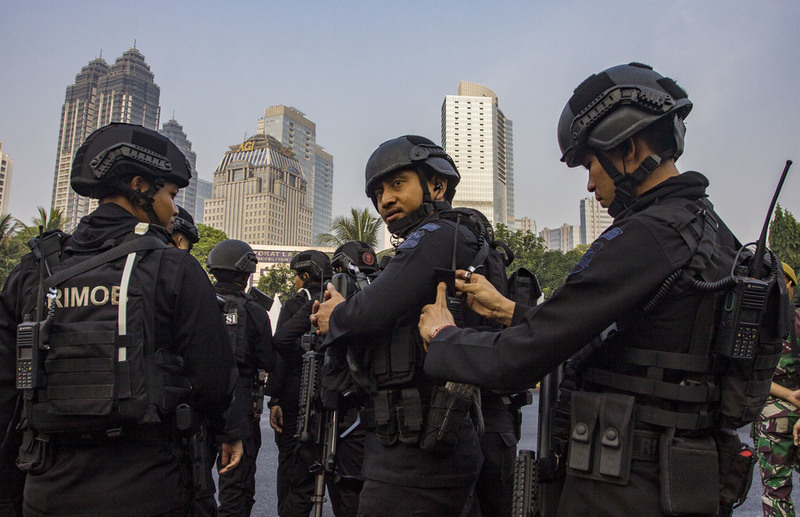 "Regional police units in South Sumatra, Jakarta, Banten and West Java will be the busiest during the Games," National Police spokesman Insp. Gen. Setyo Wasisto said in Jakarta on Tuesday (31/07). The Ministry of Environment and Forestry recently also declared its commitment to ensure that the Asian Games are not disrupted by haze, saying it has been working hard to extinguish hot spots in Sumatra – the area most prone to forest fires. Most event during this year's Games will take place at the Gelora Bung Karno Sports Complex in Jakarta and Jakabaring Sport City in Palembang, while some events will be held at other venues, such as jet ski at Ancol in North Jakarta, pencak silat at Taman Mini in East Jakarta and cycling in Subang, West Java.